Show how much you care when you send some chocolate love to your sweetheart, treasured friends, or cherished family members. 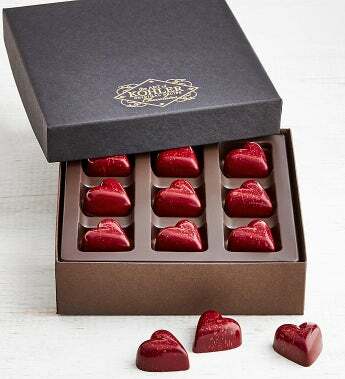 Kohler has filled a heart-shaped shell of luscious dark chocolate with a soft, raspberry ganache center graced with delightfully subtle hints of champagne and cognac notes. As amazing in taste as they are in appearance!